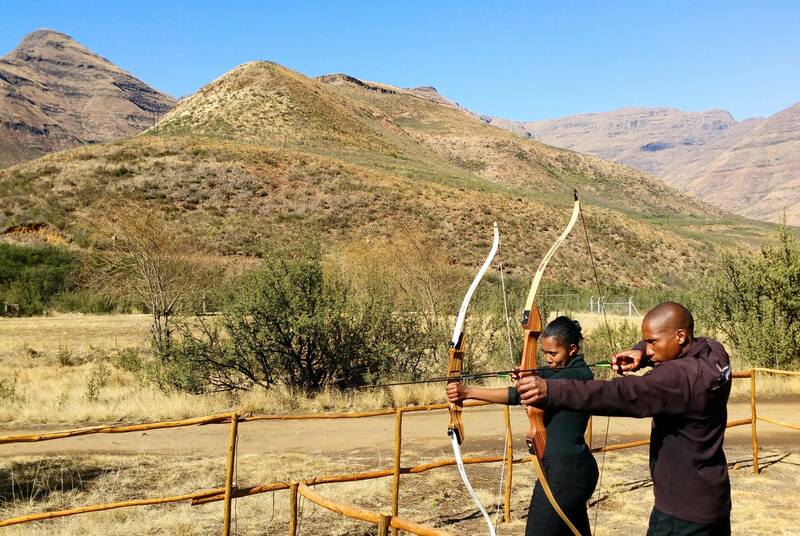 It was a week which started with surfing the Durban waves and ended with skiing in Lesotho. And neatly sandwiched in the middle was a close encounter with a herd of elephant. There are not many holiday destinations where you can spice up your life with such variety. After a big breakfast at Umzolozolo, I drove through the stunning landscape of Golden Gate National Park on the way to Maliba. This was my first winter at the lodge and I thoroughly enjoyed being high in the mountains and being able to watch the cold from in front of a roaring fire. 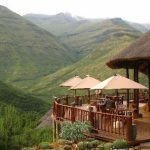 Snow had been predicted for the highlands of Lesotho and I spent my four days at the lodge peering out the window and hoping that this time the forecast would be accurate. It was 6.30am on the Thursday morning when I was phoned by one of the staff to report on the weather. It was snowing and I leapt – well, stumbled really – out of bed and then spent the next two hours playing in the snow. The view from the deck was magical as the snow fell while the sun also tried to show its face. 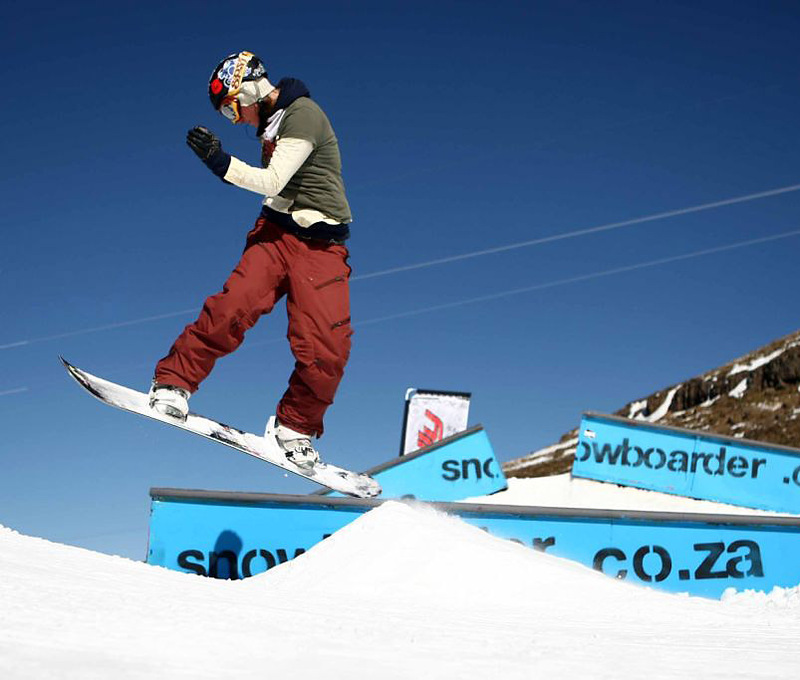 Later that day the snow report on Afriski’s website stated that the road had been closed due to heavy snowfall. My tiny rental car suddenly became even smaller. Later on it was reported that the road had been opened but only for 4×4 vehicles. By Friday the roads had been cleared and together with my husband Mark – who had met me at Maliba – were able to inch our way to Afriski. What should have been a two-hour drive to Afriski took us nearly twice as long as the engine whined as up the highest road pass in Southern Africa. 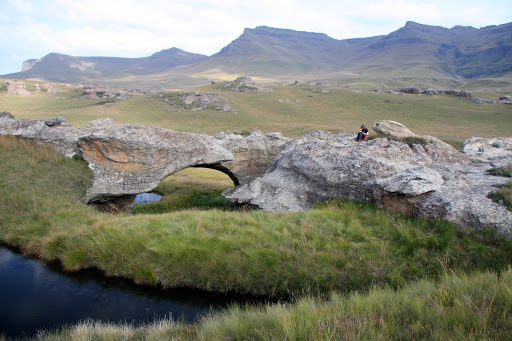 It was, without a doubt, one of the more spectacular drives I had ever been on but I was also embarrassed that, as a South Africa living on Lesotho’s doorstep, I had never made the effort to visit this area before. Our drive was also delayed by pit stops for photographs and compulsory snow-throwing. Afriski, blanketed in snow and tucked at the foot of the slopes, looked like an Alpine ski resort. After a warm welcome from the staff, we were shown to our room, which happened to have the best view of the ski slope, and told we should book our equipment and lessons before the rush in the morning. It suddenly dawned on me that I actually now had to learn to ski…and quickly. We were greeted by a warm, sunny day and the excitement amongst the staff and guests on this opening day of the ski season was palpable. Mark had spent six months working at an Aspen ski resort in the United States and was kitted out with his snowboard and boots. I was sent away with skis, ski poles and huge boots, which felt like rocks strapped to my feet, for a morning of instruction. It was an overwhelming experience with much of the morning spent on my bum as children flitted to and fro without any problems. Mark paused only briefly on the beginners’ slopes – he clearly had done very little actual work in Aspen – before wandering off to the big slopes. 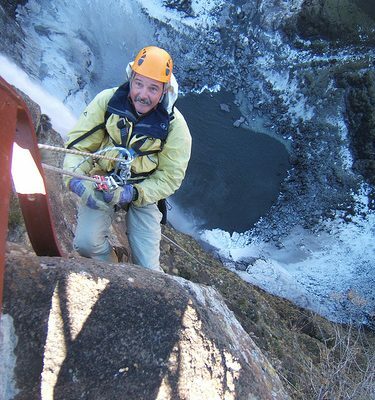 It was initially frustrating and nerve-wracking, going downhill on two small planks without any brakes. I was missing my big ship. There was one consolation – I was not alone. All around me were South Africans who were also struggling awkwardly to maintain their balance…and a sense of decorum. By mid-afternoon, and with the help of my extremely patient instructor, I was snow-ploughing down our gentle little hill, having graduated as a skier and now upgraded to the big slope. This was all very exciting and so I joined Mark on the big slope. Recent graduates are only allowed to go halfway up the big slope on the ski lift and thank goodness. It was certainly steep enough for me and there was the only way back and that was by skiing down what looked like a cliff-face. While the children kept whizzing by, I snow-ploughed – using the skis in a “V” shape to balance and brake – down the slope. It is all about controlling your speed, coming down the mountain at an angle and snow-ploughing. If this fails, you throw yourself at the snow. By the end of a brilliant day, I was quite confidently going up – ski lifts can be surprisingly tricky – and down the big slope but still battling to keep up with the children. My Ski boots no longer felt like rocks attached to my feet. After such a different and exciting day of activities out on the slopes, the evening activities turned out to be as enjoyable and slightly easier. The drinks and festivities were at the recently-built pub – the Gondala – with dinner at their new Sky restaurant, both situated at an impressive 3000 plus meters above sea level. Snug and warm, both had a lovely ambience and the perfect place to spend the evening after a testing, but a fantastic day on the slopes. It was difficult to leave the next day but it was clear that the resort, and the staff, were geared up for a successful skiing season. Of course, some will disparagingly dismiss the notion of skiing in southern Africa. And, yes, it might not be the Alps, but it was still a most memorable and unexpected experience – and particularly when it completes a week which also included surfing and a trip into the bush.